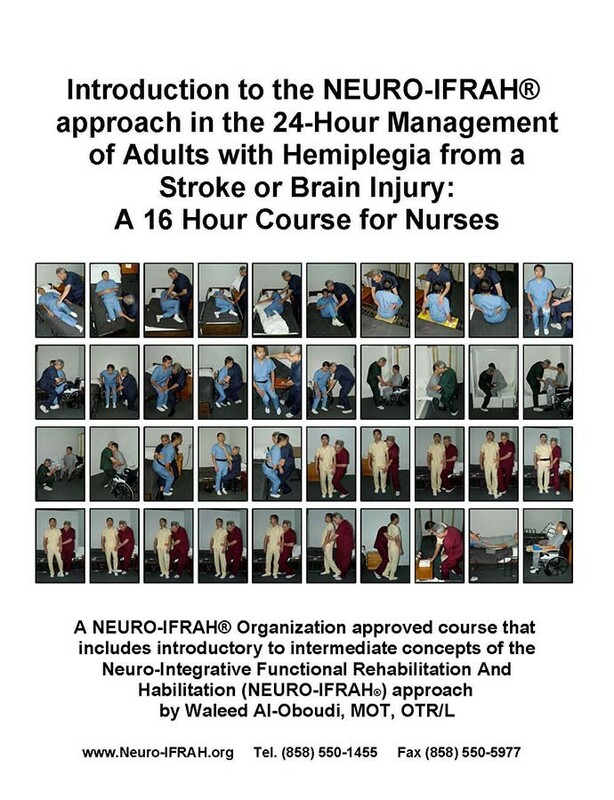 This introductory level Neuro-IFRAH® Organization approved 2-day course is designed for nurses who work with adults affected by a stroke or brain injury. This course will place an emphasis on improving participants handling skills including buy not limited to topics of control in sitting & standing, scooting in sitting, transfers, sit to stand and stand to sit, gait, bed mobility and positioning, and care of the affected side.This course consists of lecture and lab sessions. Audio-visual materials will be used to enhance participants learning of the concepts and techniques learned. 1. Identify normal movement components of of upper extremities specifically the hand. 2. Identify strategies to increase incorporation of the affected side and facilitate more normal movement throughout the body during various transitional movements and other functional activities. 3. Demonstrate applications of techniques learned to facilitate more normal movement during various transitional movements and other functional activities. 4. Identify concepts and strategies related to care of the affected side. 5. Demonstrate applications of strategies related to care of the affected side. 6. Modify handling as needed to improve desired outcomes. 7. Identify concepts related to teamwork and carry over in patient progress.